J. Braithwaite (2009) Leading from behind with plural regulation in Judith Healy & Paul Dugdale (eds) Patient Safety First, Sydney: Allen & Unwin. J. Braithwaite (2004) Restorative and Responsive Regulation of OHS in E. Bluff, N. Gunningham and R. Johnstone (eds) OHS Regulation for a Changing World of Work, 194-208. Sydney: Federation Press. 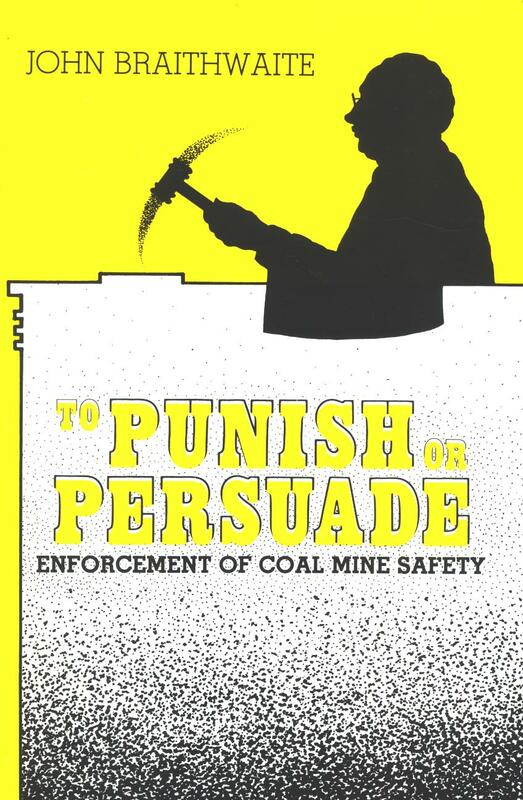 J. Braithwaite and B. Fisse (1989) Coke and Cancer at BHP in P. Grabosky and A. Sutton (eds) Stains on a White Collar. Sydney: Federation Press. 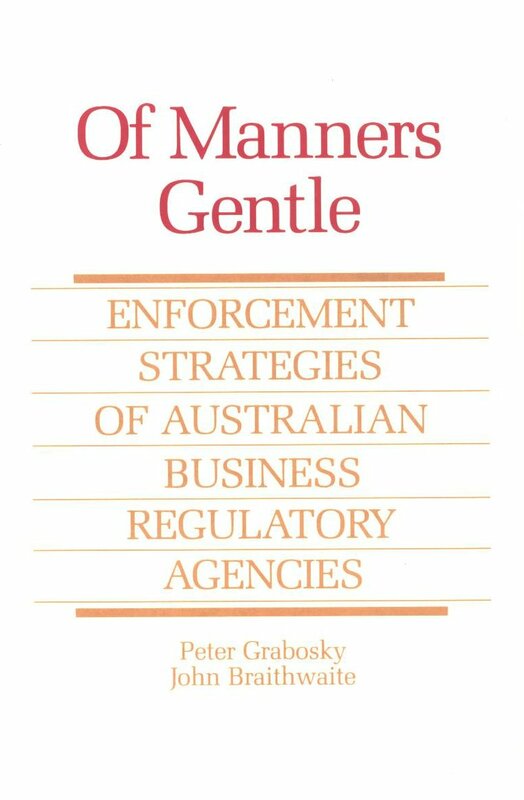 J. Braithwaite , P. Grabosky and B. Fisse (1986) Occupational Health and Safety Enforcement Guidelines: A Report to the Victorian Department of Labour [report]. 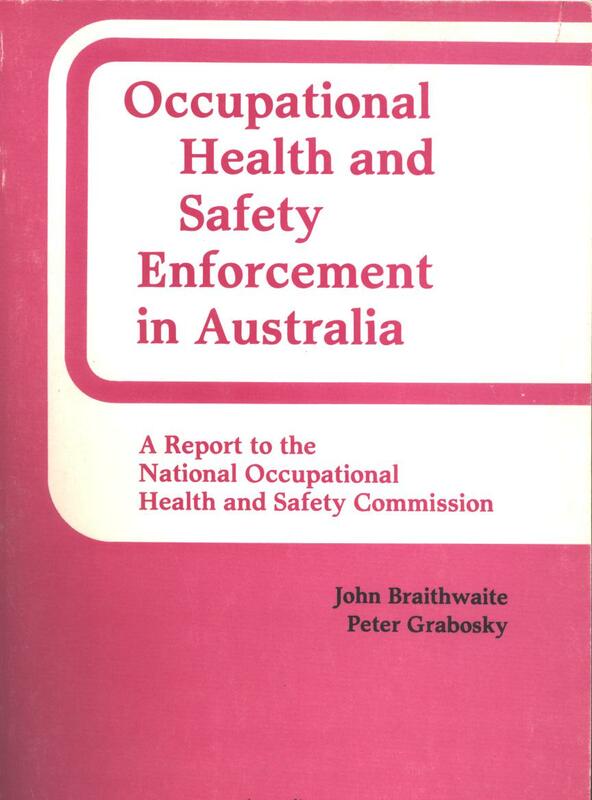 J. Braithwaite and P. Grabosky (1985) Occupational Health and Safety Enforcement in Australia. Canberra: Australian Institute of Criminology. J. Braithwaite and B. Fisse (1983) ‘Asbestos and Health: A Case of Informal Social Control’ Australian and New Zealand Journal of Criminology 16, 67-80.